I know what it may feel like. It is the last day before Christmas and you want just one more present under the tree. Well, it is not too late. An eBook is the perfect last minute gift. You can burn it on a CD with nice wrapping of put it on a USB key from the local 7/11 with a red ribbon. This book is a great addition to any photographer who happens to be a maker. 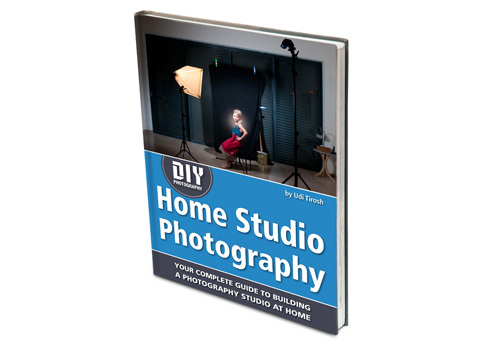 The book has over 23 projects that will gear up your studio without a single trip to the local photography store (plenty of trips to Home depot and Stapes, but gear there is just so much cheaper). 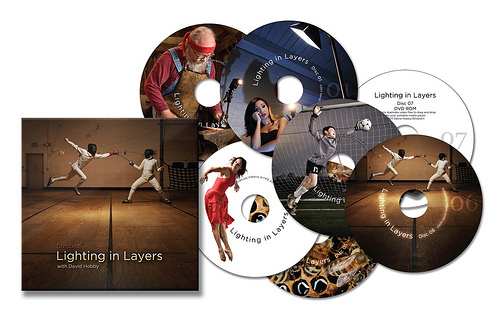 Be it a Soft box, a strip light or a gridspot, this book will show you how to build them all. This eBook from Master landscape photographer Jim Goldstein is all about time. This book is great if you are seeking to explore some creative ways to use your camera. 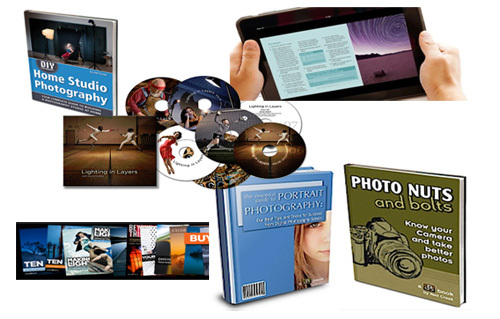 The book covers a wide range of photography techniques centered around “shooting time”. While it may seem that we can’t actually photograph time, Jim proves that there are many ways in which we can actually photograph it. The book has a bit of everything time has to offer, Light Painting, time lapse, shooting star trails, creating ‘moving images’ and more. It even has a field guide at the end that you can print along and take with you on location for quick reference. A great value for $20. OK, so this is more of a DVD seminar than an old school eBook (funny, how I can say old school ebook so easily). If you are reading David Hobby’s blog, you know the tons of useful info he shares about lighting, and this series is not different. This is not your usual do this-do that seminar, but rather a deep, immersive walk through of six shooting session in the non formal, non flashy, loaded with goodies style of Strobist. It here, cuz even that the title says DVD, there is an instant download version either med-res or smartphone friendly. 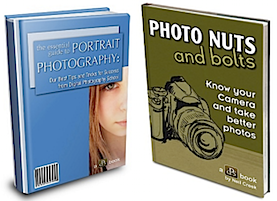 This mini-series by Neil Creek is a personal favorite when it comes to basics of photography. Either for the technical aspects (bolts) or photogenic eye (shots). Neil does excellent job on both eBooks delivering illustrated guides with tons of examples and explanations that feel so comfy to read, you don’t realize you’ve just been injected with a ton of technical info. Craft & Vision is an awesome series crafted by David duChemin (who also authored many of the books). Consider this as a complete cooking library for your photography needs. The collection of books covers anything you would possible want to learn about, starting from basic rules, going through vision and learning to “see” light all the way to off camera flash techniques, advanced black and white, travel and a bit of videography. There you have it, the next step would be burning the book on an empty CD or loading it on a USB stick that you can buy at the local kiosk or grocery. Or, backed up against a wall, you can print the cover photo as a card and mail the actual link to your loved one.